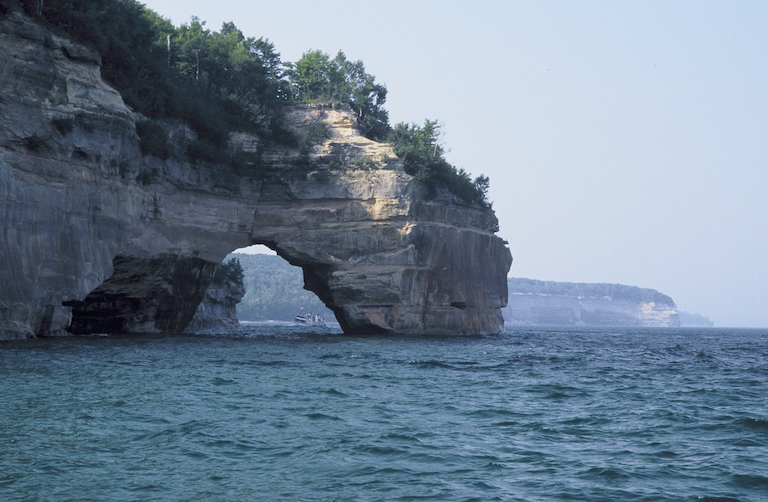 Exclusive tours to three of the five Great Lakes within the U.S. Direct visit to Wisconsin ginseng farm. The first day’s itinerary is for your reference only; the schedule is subject to change upon your arrival Flight from home to Chicago. For passengers arriving with domestic flights, please wait at Baggage Claim area; for passengers taking International flight, please wait at the Exit doors after retrieving your luggage. Tour guide will lead you to the meeting point. For those guests who arrive at O’Hare meeting point before 3:00pm, you will receive an additional gift -free transportation to the Fashion Outlets of Chicago which features many shopping and dining options, there’s no complementary airport pickup and shopping option for Midway Airport arrival. * 9am-9:pm ORD airport free pick up，meeting piont before 3:00pm free time in fashion outlet shopping. For passengers who arrive before 5:00pm, you are invited to join the night tour of Chicago at $25 per person. (*To arrange the night tour, it requires at least 4 guests enrolled.) 【*Chicago Night tour】 Start from the Crown Fountain at Millennium Park, we will set off for Michigan Avenue where you can have a wonderful view of the Magnificent Mile in the night and take a walk alongside the Chicago River. The last stop will be the Michigan Lakeside with the panoramic view of the world-class city skyline of Chicago. 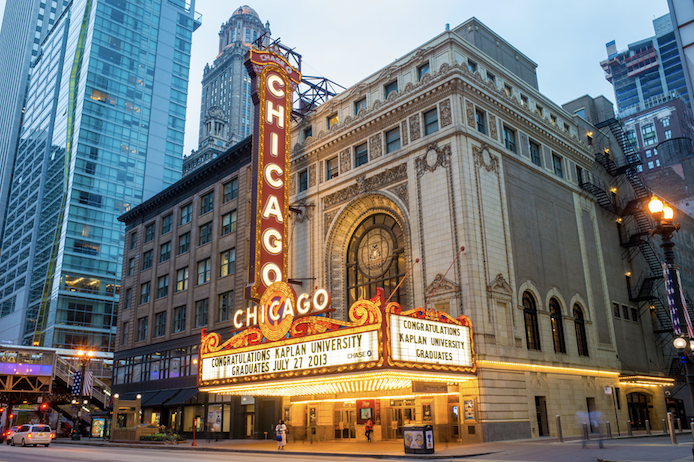 This tour will show you the best of Chicago in one day. This is a world’s top architecture city with bold architectures. You will take a walk in the Millennium Park, see the Cloud Gate, enjoy the urban view of city from 360 Chicago. Itinerary: MillenniumPark & Cloud Gate (20 mins) →Grant Park (10 mins) →Chicago Theater (Optional, 60 mins) →The Art Institute of Chicago (Optional, 120mins) →Chicago Water Tower (15 mins) →Michigan Avenue (30 mins) →Chicago Cruise (Optional, 75 mins) →360 Chicago (Optional, 75 mins, including Tilt) We will pass by: Navy Pier, Clarence Buckingham Memorial Fountain, Marina City, Trump International Hotel and Tower, Willis Tower Observation Deck. Millennium Park Three square blocks of open lakefront complete with a Ferris Wheel, outdoor music pavilion and ice-skating rink; expected to become one of the city's most popular sites. Grant Park is a large urban park in the city's central business district.t was renamed in 1901 to honor US President Ulysses S. Grant. The park contains performance venues, gardens, art work, sporting, and harbor facilities. It hosts public gatherings and several large annual events and is popularly referred to as "Chicago's front yard". The Art Institute of Chicago is the 2nd-largest art museum in the US after the Met in New York. It houses pieces by renowned painters such as Van Gogh, Monet, and Cezanne, as well as an extensive collection of African-American art. Michigan Avenue is a street well known to Chicago natives as well as tourists to the city. Michigan Avenue also is the main commercial street of Streeterville. It includes all of the Historic Michigan Boulevard District and most of the Michigan–Wacker Historic District, including the scenic urban space anchored by the Michigan Avenue Bridge. 360 Chicago (incl. Tilt) This observation deck sits atop the John Hancock Tower in Chicago, providing exquisite aerial views of the city's skyline that you can't get anywhere else. The new LIFT feature extends out above the city below for an exhilarating experience. 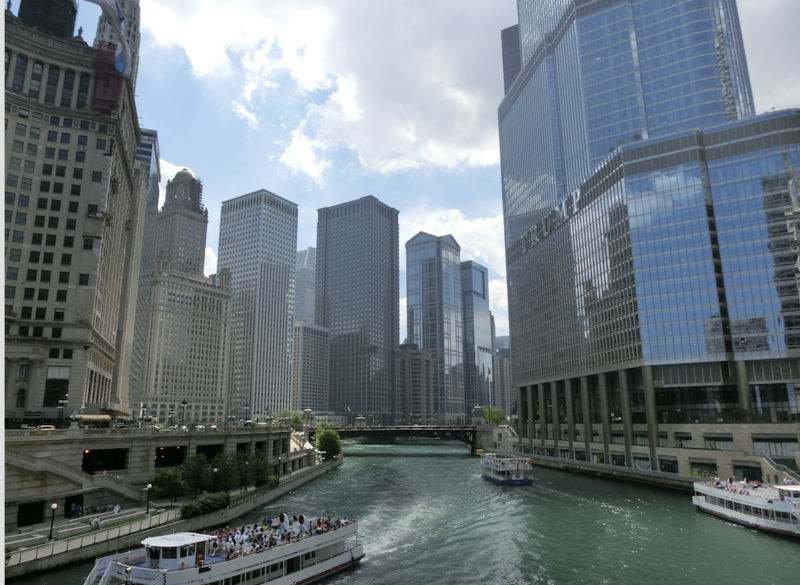 Chicago Cruise The Architectural Cruise of Chicago is a perfect way to view one of America's most formidable cities, all from the comfort of a boat leisurely sailing down the Chicago River, either during the day or at twilight. We will start our first day Milwaukee, the largest industrial city in Wisconsin visiting Harley-Davidson Museum. After the museum, we will head to the famous Milwaukee Public Market located in Milwaukee’s historic Third Wards. In the Milwaukee Public Market, you are going to see a variety of Wisconsin specialty foods, including cheese and sausage. Next, we will continue driving north along the Lake Michigan. We will enjoy our dinner here. After dinner, we will head to the hotel. Itinerary: Milwaukee → Harley-Davidson Museum (Optional, 80 mins) → Milwaukee Public Market (60 mins) → Crescent Beach Board Walk (50 mins) → Green Bay (70 mins) → Escanaba . 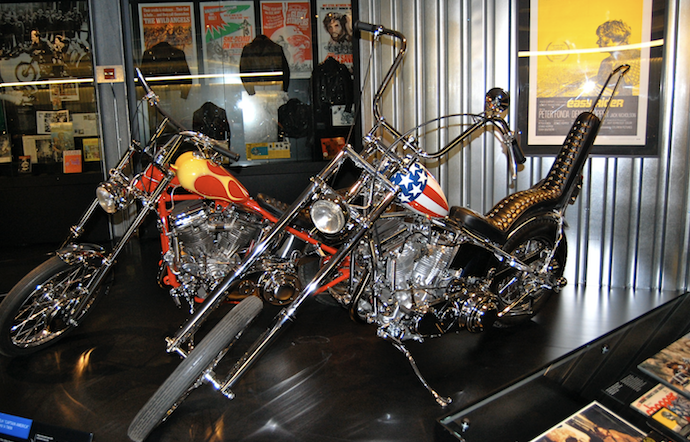 and artifacts including the oldest known Harley Davidson motorcycle and attracts more than 3000 tourists all over the world every year. Crescent Beach Board Walk We can take a leisurely walk on the beach and enjoy the beautiful afternoon at the Lake Michigan. There you will also have a chance to appreciate Algoma Pierhead Lighthouse, one of the historic lighthouses on Lake Michigan. Green Bay Green Bay is a city where the French explorers and missionaries first settled in the 17th century when they were exploring nowaday’s Wisconsin area. Miner’s Castle The Castle is the place we can see unique rock formation and colorful cliffs standing by the translucent blue water of Lake Superior. Miner’s Beach Miners Beach is just up the shore from Miners Castle – which tends to be more of an attraction than the beach. Sugar sand beach with a spectacular view of Pictured Rocks to the East. The road is paved almost right down to the beach, with a spacious parking area, camping sites with fire pits, stairway down to the beach. diamonds under sunshine. Point Iroquois Lighthouse We will quickly stop by Point Iroquois Lighthouse, a beautiful historic lighthouse where you can overlook how Lake Superior connect to Lake Huron. Soo Lock sightseeing Cruise The Soo Locks have been referred to as one of the great wonders of the world and they are still the largest waterway traffic system on earth. 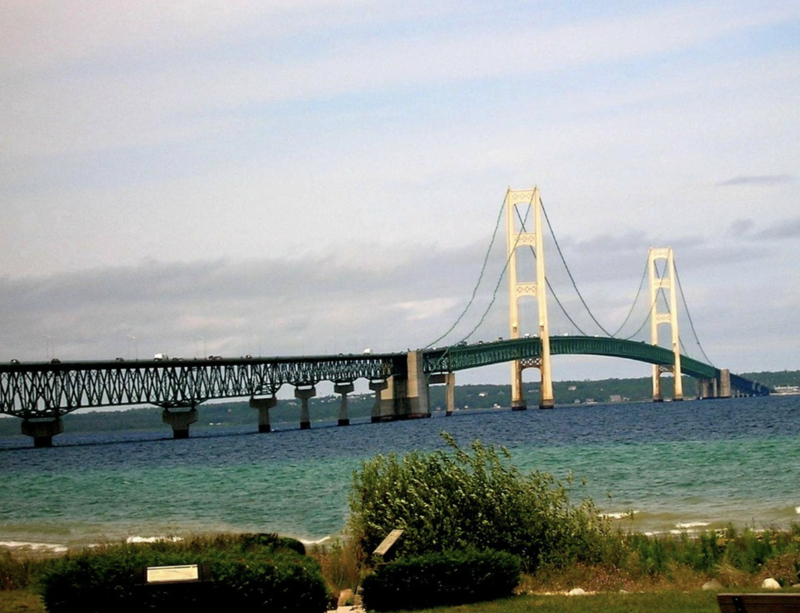 Soo Locks Boat Tour will travel along the international shoreline of the lower harbor, allowing you to experience all the sights, sounds, and excitement of Michigan's oldest city, Sault Ste Marie. Mackinac Island Mackinac Island, just off Michigan's shoreline, is only accessible by ferry or plane. A unique local law prohibits the use of motor vehicles, so be ready to either walk, bike, or horseback ride. Regular musical acts spice up the nightlife. Sleeping Bear Dunes National Lakeshore Sleeping Bear Dunes National Lakeshore is a United States National Lakeshore located along the northwest coast of the Lower Peninsula of Michigan. There is a chance to experience “climbing” a gigantic sand dune. Traverse City The Traverse City area is the largest producer of tart cherries in the United States. Near the time of cherry harvest, the city hosts the annual week-long National Cherry Festival in the first full week of July, attracting approximately 500,000 visitors annually. Big Red Lighthouse The lighthouse is on the south side of the channel. There are two modern lights marking the ends of the breakwaters that extend out into the Lake Michigan beyond the lighthouse. Holland Holland is a city famous for its Dutch heritage. In the 19th century, a group of Dutch immigrants settled down here. We will tour downtown Holland on foot with the guidance of a local guide who will show us around the Dutch-inspired architecture in the city as well as tell us stories about the immigrants and the traditions they brought here. Windmill Island Windmill Island has the world-famous “De Zwaan” (the swan), an authentic windmill (shipped from Netherland) with approximately 250 years history. We have plenty of time taking a walk around the beautiful gardens on the island. Gilmore Car Museum Gilmore Car Museum has the state’s largest collections of classic and vintage automobiles. 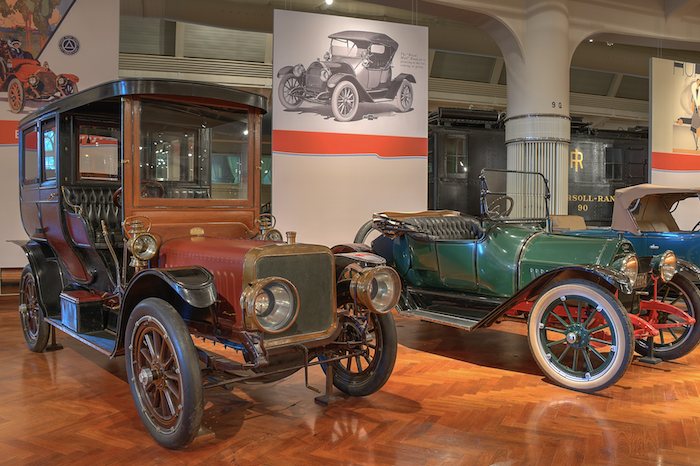 At the museum, you will have the chance to appreciate the car collections produced from various periods dated between 1890 and 1960. * End tour. Please book flight departure from CHICAGO : ORD airport after 19:00PM. The sequence of the itinerary might be changed according to the actual circumstance, the main attractions will stay the same. Personal expenses such as laundry, telephone, soft drinks,alcoholic beverages, personal insurance costs, etc. Tips to guide and driver, total $10.00 per person per day. The tickets for the tour itinerary. * Tickets are subject to change without notice. • (US dollars) cleaning fee plus hotel losses. • No meals included. Optional meals may be arranged at $30 (2 Meals) per day per person. • Tips are not included. Driver & Tour guide’s tips at $10.00 per day per person. • In case of unforeseen circumstances, i.e. gusty weather, accident, violence, and etc. We are not responsible for any cost incurred thereof. • We reserve the right to modify the itinerary and hotels for the benefit of the group.